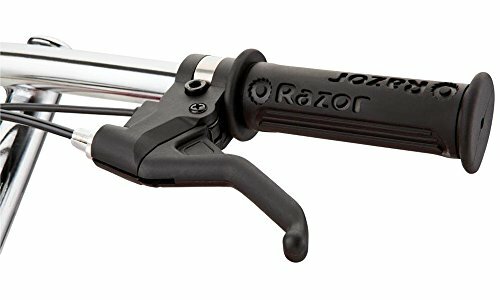 The pocket mod electric scooter from Razor is inspired by the Italian Vespa. 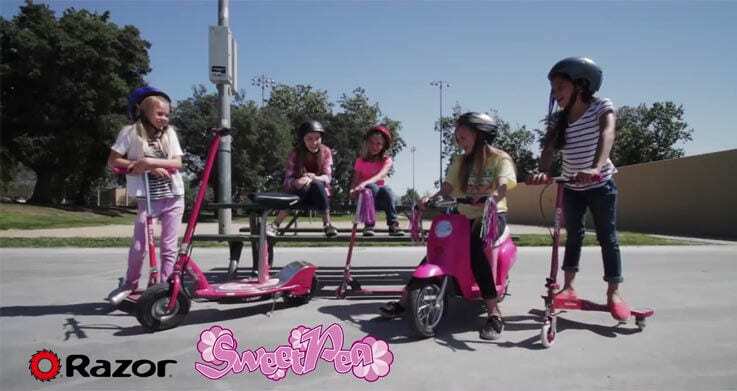 It was built to attract young girls to utilize the great benefits and hours of fun that you can get out of an electric scooter. It has a very cool and unique look that has proven itself to be very popular among first and foremost girls. But its not limited to just girls. 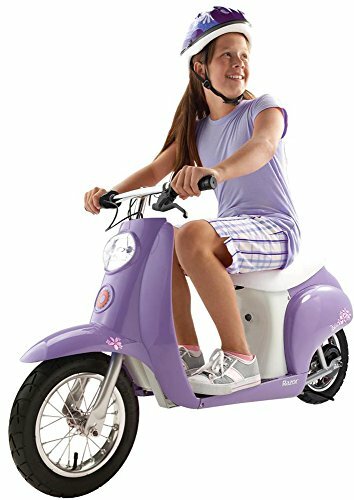 There are plenty of kids of both genders utilizing its great capabilities today and for example, my boys love riding this classic scooter looking model. Sitting down while riding makes them feel like they are riding a motorbike. Without further ado, let’s hit the review part. 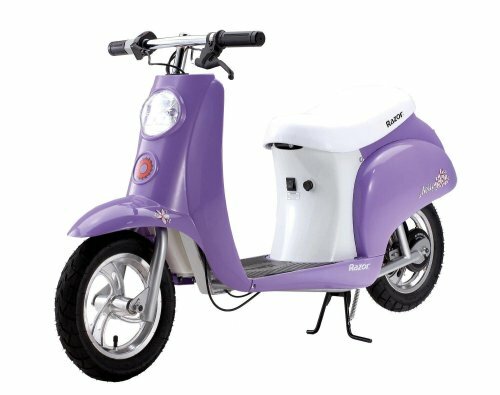 When I bought our first Pocket mod electric scooter our kids were stoked and to be honest so was I. I had been waiting for them to test it for years, but due to their young age, I’ve had to put it on hold for a while. Well, time was finally here and we got the package. The first thing I noticed with the scooter was that the handlebar was a bit tricky to get into place during the assembly process. I’ve mounted my fair share of handlebars before and still, this one was a bit difficult. I estimate that someone with less experience can do the whole assembly process in around 20 minutes, give or take a few. The scooter has a really good top speed of 15 mph, which on a normal scooter would have been too fast for my kids at the age of 6 and 4. 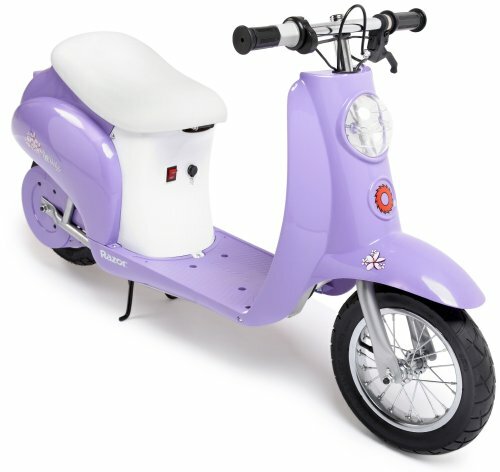 But on the pocket mod, you will be much more comfortable knowing your kids are safely seated while riding. Thus making it easier for them to keep balance. You don’t have to be on your toes all the time because if they hit an obstacle, like for example a pothole, it doesn’t cause them to lose balance as easy. 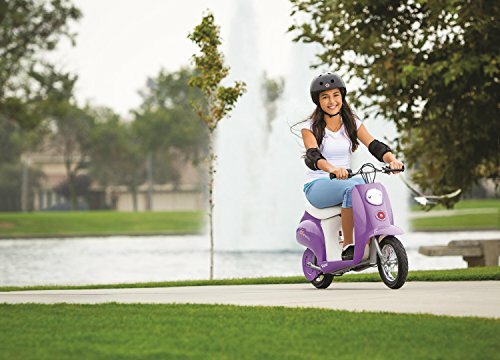 The chain-driven motor is powered by a 24V/7Ah lead-acid battery that can provide your kids with a riding distance of around 10 miles on a single charge. However, it does take a bit of time to recharge the scooter and you should expect to charge it for around 12 hrs initially and then around 8 each time after that. My oldest boy weighs around 50 lbs and can get a solid 12+ miles out of the scooter even if he rides it very hard. We have a pretty steep hill here in our backyard and he has no problem at all riding the scooter all the way to the top. It is said to be able to handle 150 lbs and after testing it myself for a while I can approve. Even though it was much slow it did haul my 173 lbs along just fine. I wouldn’t expect too much distance if I were riding on it though. Fun and exciting ride for all kids! An excellent choice for both girls and boys. 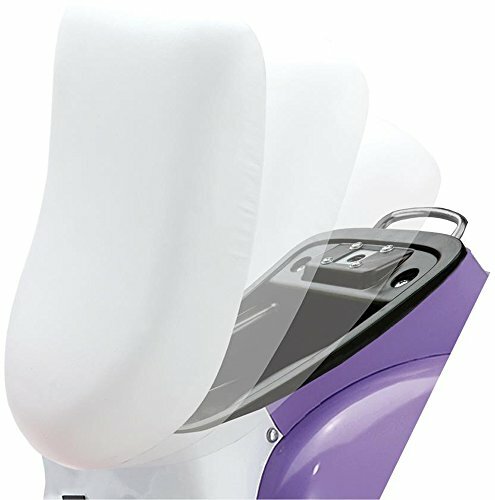 High performing 250W motor provides its user with a top speed of 15 mph and a good distance of up to 10 miles can be expected from a fully charged battery. 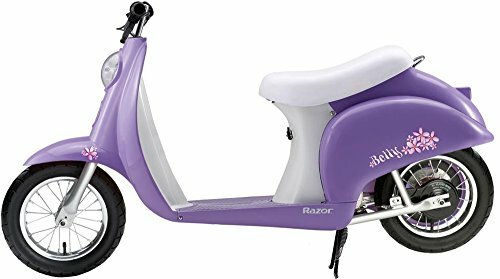 It delivers a smooth ride and it is a very popular model among young kids. Because you are riding in a seated position the 15 mph aren’t actually that fast. Initially, I did not want to let the 4-year-old (soon to be 5) try it out but after seeing how easy his brother handled the scooter I did eventually come around. Needless to say, he was ecstatic. He has been riding it ever since and out of the many various scooters we have that one is his favorite. It is easy for him to keep balance on it and he effortlessly zooms up and down the street. 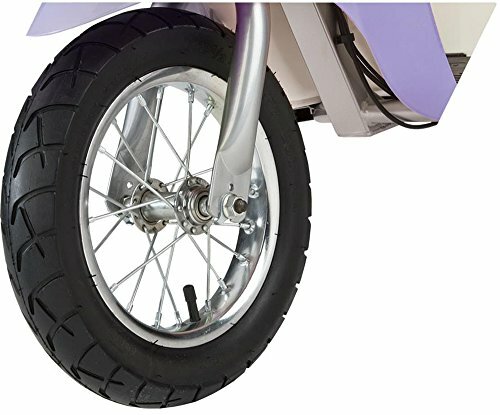 The large 12” pneumatic tires in combination with the rear shocker make this a very smooth ride. It can tackle rougher terrain without them feeling uncomfortable doing so. It has a small stash under the seat where they can put their tablets or any other necessities they might want to bring on for the ride. Loading that little trunk takes them more time than getting the scooter out of the garage and ready to go. Normally my older boy is very cautious and it takes time for him to go fast. 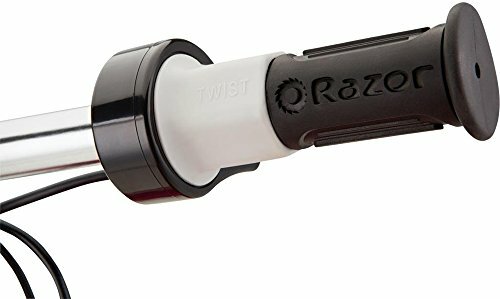 He must have felt very comfortable and secure on the Razor Pocket Mod because almost instantly he started riding full throttle. Even if the design might initially have been aimed at girls, I say this is a solid choice for both genders. We got it in black and my kids think it is the coolest thing. They rather ride this one than the Gotrax Glider Cadet. For some reason, my boys thought the stash underneath the seat was the best part of the whole scooter. Large 12-inch pneumatic tires that help reduce bumps well together with the rear suspension system. Very good performance and easy to handle. Many different colors available fitting both girls and boys. The Pocket mod electric scooter really does the job it was built to do. 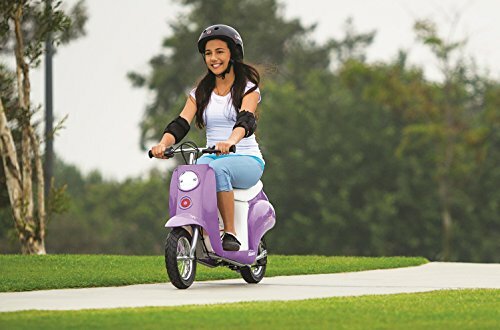 It is one of the most popular models among young girls and it delivers one heck of a ride. A great distance and speed that you can enjoy comfortably seated on the scooters. It handles rougher terrain like a king and my boys instantaneously fell in love with it. 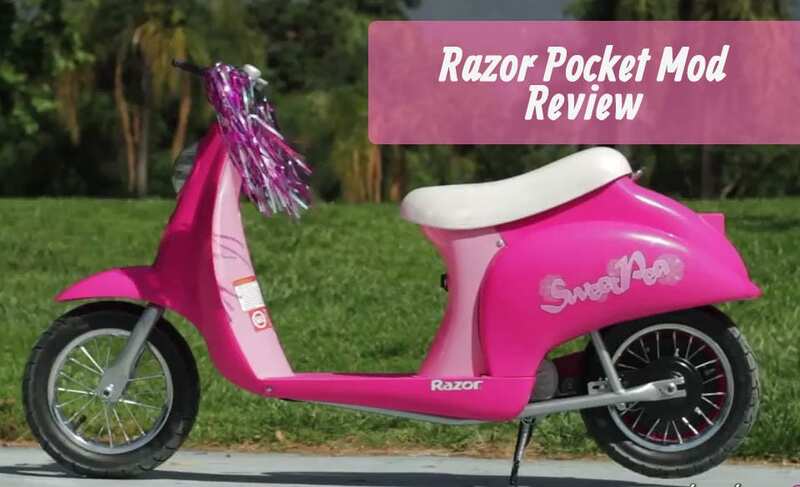 There are some similar models out there but from my research on its competitors, none come close to the Pocket Mod and hence it made it to the top of our list over the best choices for kids. It is a bit on the heavy side and getting the steering wheel in place was a bit tricky but it was well worth the small amount of time invested. 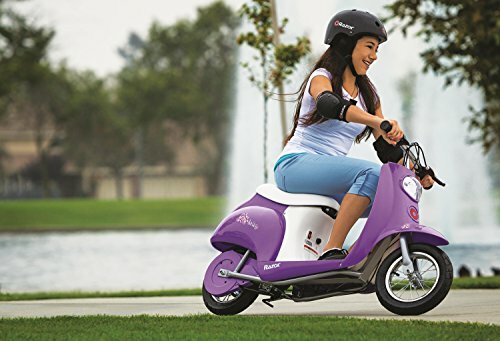 If this seated electric scooter isn’t for you then you should read our complete guide to finding the best electric scooter for your kid.